Raghu is an Insolvency Professional and registered with IBBI. He has 21 years of professional experience in various matters such as setting up businesses in India and overseas, capital structuring and capital raising, domestic and international listing, foreign direct investment, joint ventures, foreign collaborations, legal due diligence, transaction advisory, M & A and providing advice on corporate governance and corporate legal matters. Raghu is a Charter Member of Tie and an Angel Investor. He is also Founder and Partner of R & A Associates, Company Secretaries. He is currently acting as Resolution Professional of Kadevi Industries Limited which is under the corporate insolvency resolution process. Raghu has an acute business acumen. He understands domestic and global business trends, business challenges, financing models, leverages, viability of business, etc. He is excellent in managerial skills and people management. 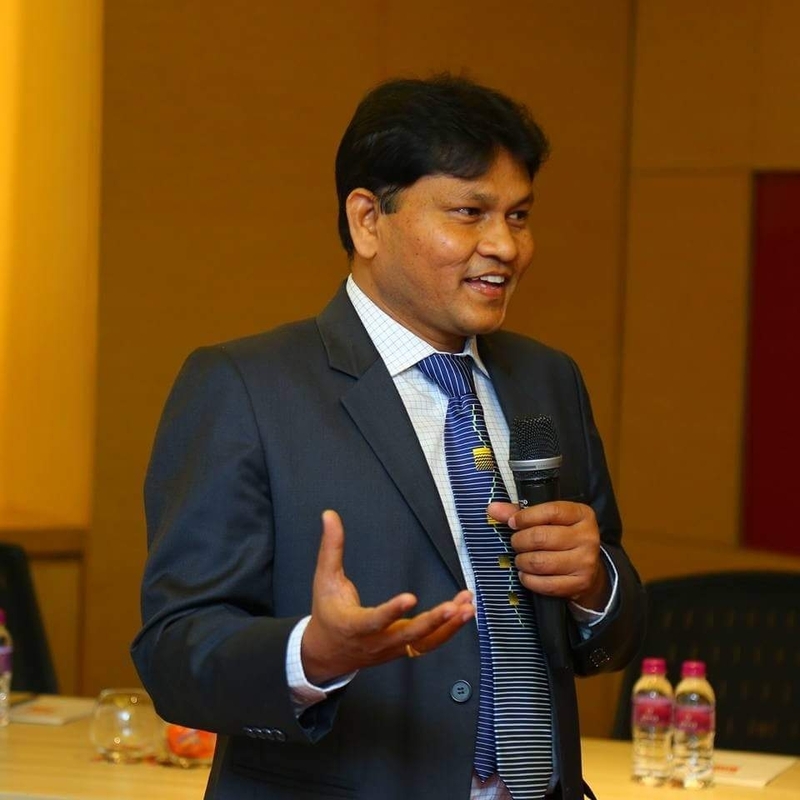 Raghu is a postgraduate in Commerce, fellow Company Secretary, and has an MBA (PGPMAX – Post Graduate Program in Management for Senior Executives) from the Indian School of Business. Sandhya is an Insolvency Professional and registered with IBBI. She has 13 years of experience in corporate, legal, and secretarial matters. She has previously worked with Incor Hospitals, Cyber Pearl Information Technology and Ramky Enviro Engineers. She has been working on insolvency and liquidation matters since March 2017. Sandhya is a commerce graduate and a qualified Company Secretary. Anjaneyulu is an Insolvency Professional and registered with IBBI. He brings 30 years of solid experience in the areas of accounting, finance, taxation, internal controls and MIS among other things. He started his career as an accountant and rose to the position of Head of Finance & Accounts of a diversified group before joining EzResolve. He brings extensive operational experience and an eye for detail and precision. During his career he worked with various businesses such as poultry, manufacturing, organic retail, industrial supplies, etc. He is a commerce graduate and a Master of Business Administration. Suresh VS is a qualified Company Secretary and Cost Accountant and enrolled as Insolvency Professional [IP] with Insolvency Bankruptcy Board of India[IBBI]. He has over three decades of work experience in Finance, Accounting and Governance functions of best managed south indian corporations. His last assignment of two decades association was with Dr Reddy's Laboratories Limited, a NYSE listed entity. As part of his career with Dr Reddy's he handled large business finance, Global taxation, Corporate Secretarial function as Company Secretary, Global corporate compliance and couple of projects like M&A, Brand acquisitions, facility hive off etc. A Civil Engineering graduate from Kakatiya University (1993), YMV Reddy is currently pursuing a Masters in Public Administration. He has 24 years of professional experience in providing various services like IE, LE in the areas of WTE (waste to energy), waste management, thermal power plants and civil infrastructure projects. YMV also provides end to end advisory review and consultancy services and business development solutions in the municipal solid waste management sector. Further, he is a member of the ISWA (International Solid Waste Association), the FIE (Fellow in Institute of Engineers) and is a member of many professional bodies.